We will be traveling to the Baja California Peninsula. 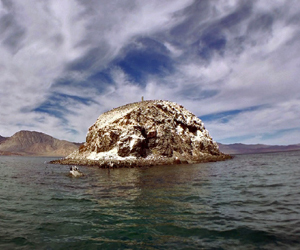 “Baja” is the fourth longest peninsula on the planet, covering a distance of 806 miles long (1,300 km). 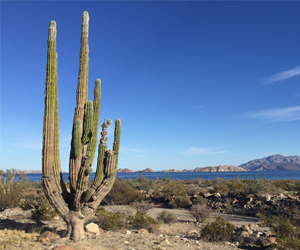 The peninsula of “Baja” is separated from mainland Mexico by the Gulf of California (aka the Sea of Cortez). This body of water is truly one of the most unique environments on the planet. 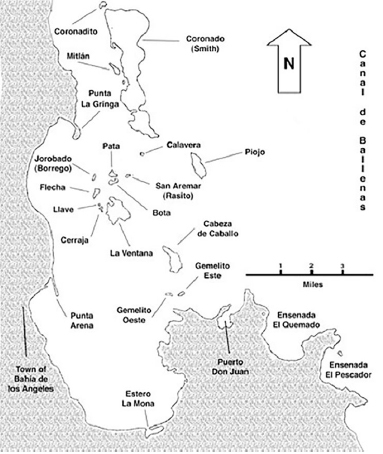 The town of Bahia de los Angeles is located on the Gulf coast of the Baja California Peninsula. The bay itself is in the region known as the Midriff Islands. The majority of our daily activities take place within the 16 islands surrounding the bay. These islands are protected by the Federal Government of Mexico. 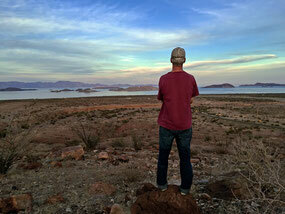 Bahia de los Angeles is approximately 400 miles from the San Diego border. It is a very small fishing town with a population of approximately 800 inhabitants. The town is famous among scientists, educators and fishermen because of the spectacular bay and the incredible diversity of life, which provides great opportunities to learn about the natural environment. 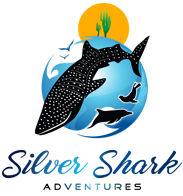 Located on the eastern coast of the Baja California Peninsula. The Bay is in the region known as the Midriff Islands located between Latitudes 28° 53' N to 29° 07' N and Longitudes 113° 25' W to 113° 34' W.
The Bay is approximately 6.4 km (4.0 miles) in width by 16 km (10 miles) in length and has a maximum depth of about 50 m (164 ft.). There are a total of 16 islands, which vary in area from more than 8 km 2 (3.1 miles 2 ; Isla Coronado) to less than 0.03 km 2 (0.01 miles 2 ; Isla Calavera). The tallest island is the volcano at Coronado Island (473 m; 1,551 feet). None of these islands has a superficial source of water. The islands were formed as peaks of mountains became isolated by rising sea levels beginning about 10 million years ago. The modern look of the Bay dates back to 10,000 to 15,000 years ago. 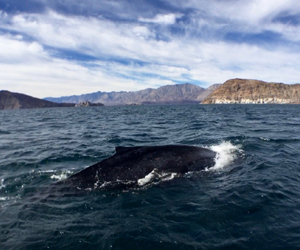 Canal de Ballenas is a deep underwater canyon (more than 1 km in depth; 3,280 feet) that creates upwelling by the influence of strong tidal currents moving through. Tides are intensified in the Northern Gulf, which follows a mixed semidiurnal schedule. Ranges can be quite extensive. During summer, currents usually follow a SE to NW pattern entering the Bay mainly between the Isla Cabeza de Caballo-Islas Los Gemelos or Islas Los Gemelos-Punta Roja channels and exit mainly through the Isla Coronado-La Gringa channel. The pattern reverses itself in the winter and appears to be more variable during spring and fall. Formation of rocky or sandy points such as Punta La Gringa and Punta Arena may be attributed to temporal clockwise gyres of water that appear to occur in these areas primarily during the spring and fall months.